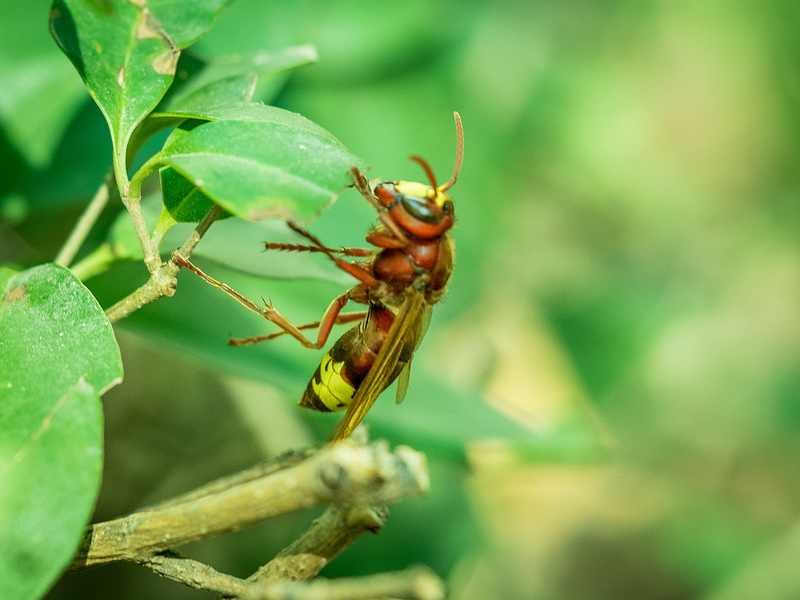 European Hornet usually avoids conflict but will sting if they feel threatened . They are carnivorous by nature and eat larger insects including other wasps. The vespa crabro is unpredictable as they may sting without warning . They are aggressive when it comes to food . The pain from the sting may last for days with swelling and may cause as allergic reaction in some individuals.